Come aboard The Sheriff, our spacious 40ft aluminium fully equipped charter vessel, with miles of deck room, toilet facilities, spray shields and a nice cabin to get out of any inclement weather. We have a maximum of 8 fisherman , however are happy to take as little as 3 on selected charters. Come and enjoy the sights, awesome fishing and spectacular wildlife Narooma, Montague Island, Bermagui and the rest of the NSW South coast offers. George Bunney has lived and worked in the Narooma area for the past 47 years as a professional abalone diver and professional fisherman, and has his current PADI license. George has fished, dived and spearfished not just the local area, but as far and wide as Qld, Darwin, Fiji, Indonesia and almost every inch of the NSW coast. George is our skipper and his experteese is second to none. George will take you to the hot spots for fishing and does his very best to make your charter a most enjoyable experience . At the end of your charter We clean and fillet your catch. For the best results every time aboard The Sheriff, we use Shimano Spheros spinning reel for the Kingfishing and reef fishing. For Game Fishing we use Shimano Tiagra and Okuma overhead reels as they have re-written the rule book on world class game fishing equipment. Narooma is a peaceful town and well known for its game fishing, reef fishing and Kingfish. The continental shelf is 20km offshore from Narooma which is the closest point from the mainland, this means Narooma offers outstanding deep sea fishing all year round and don’t forget Montague Island. 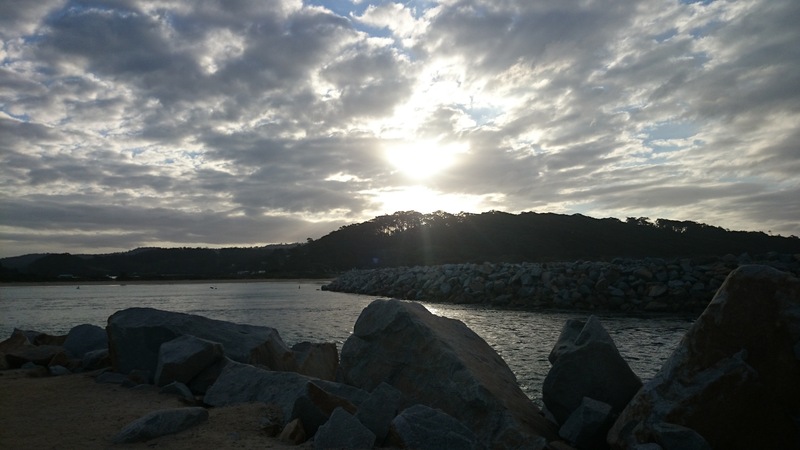 The waters of Narooma contain some of the best game fishing found anywhere in the world.